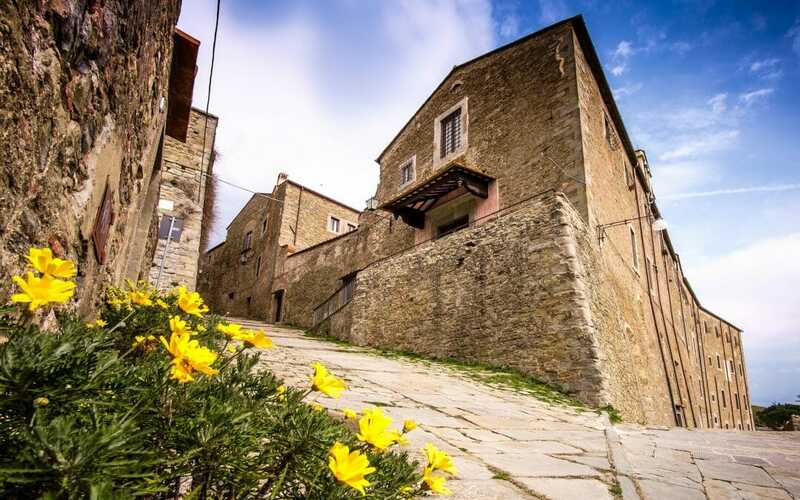 The Italian town of Cortona, 70 miles south east of Florence, is a standard-issue slice of Tuscan loveliness, with hilltop location, picturesquely crumbling palazzi and alfresco antipasti, not to mention the Britons in Boden scanning estate agents’ windows. What’s unexpected is that tucked in its backstreets is a museum so extensive and impressive that Cortona feels like a variation on that advertising slogan for the V&A in the Eighties: an ace museum with quite a nice town attached. Many of the artefacts displayed in the museum come from two tomb sites located next to a river at Sodo, a couple of miles north west of Cortona. The obvious thing for visitors to do is go round the museum then visit the tombs, which are brilliantly contextualised by the museum displays. But MAEC, which administers the tomb site, makes this irritatingly difficult. A minibus service would be a good idea (it’s too far to walk) but there isn’t one, and the opening hours of the tombs are erratic. This is partly because the whole area is in the process of being reconfigured and turned into an “archaeological park”, but no one seems to know when this might be finished. “It took them 10 years just to divert the river,” says Louise, who studied Etruscan history for her MA at Siena University. Such credentials mean she can offer bespoke tours with exclusive access to the tombs for small groups. On them she brings alive “the long-nosed, sensitive-footed, subtly smiling Etruscans” (Lawrence again) who by 600 BC had turned Cortona into a powerful city-state. Etruscan traces are all over the town, from the city walls and San Benedetto church, housed within a circular Etruscan tower, to the MAEC museum itself, in the Palazzo Casali. 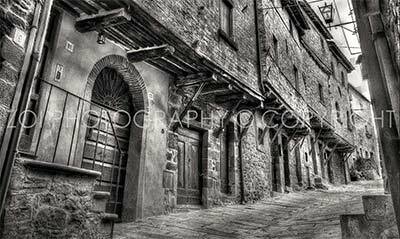 The palazzo was built in the 13th century and remodelled over the centuries but its foundations are far older, reaching many feet below ground level into Cortona’s Etruscan origins. Visitors delve deep underground through a series of low-lit cellar rooms where many beautiful artefacts are on display, including black-figured Greek plates and bowls, an ivory sphinx and many storage jars and funerary urns. The most precious pieces are a bronze chandelier and the Tabula Cortonensis, a bronze tablet covered in one of the longest known Etruscan texts. Tantalisingly little is known about what the Etruscans were like as people but an astonishing feature of this tomb brought at least two of them alive for me. Inscribed on the wall of one chamber are the names of the husband and wife whose bodies once lay here: ARNT MEFANATES and VELIA HAPISNEI.